By buying this product you can collect up to 22999 loyalty points. 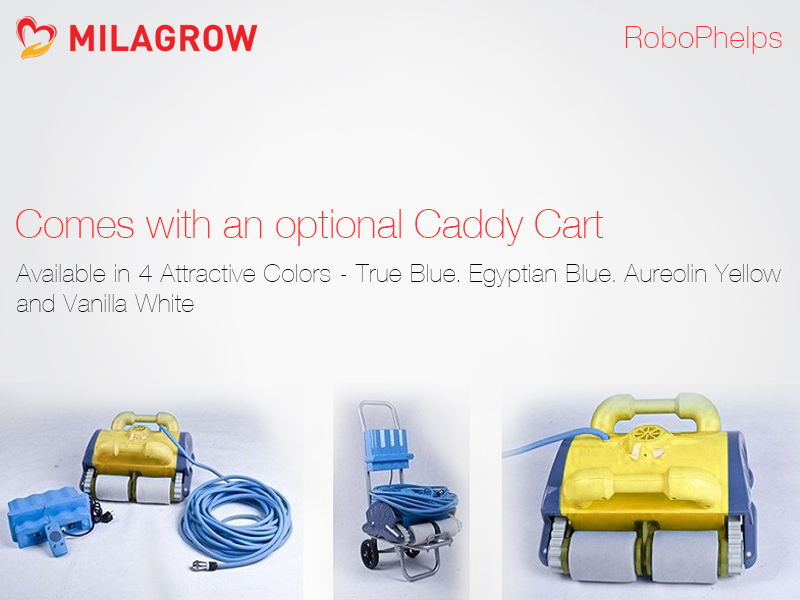 Your cart will total 22999 points that can be converted into a voucher of Rs 4,599.80. 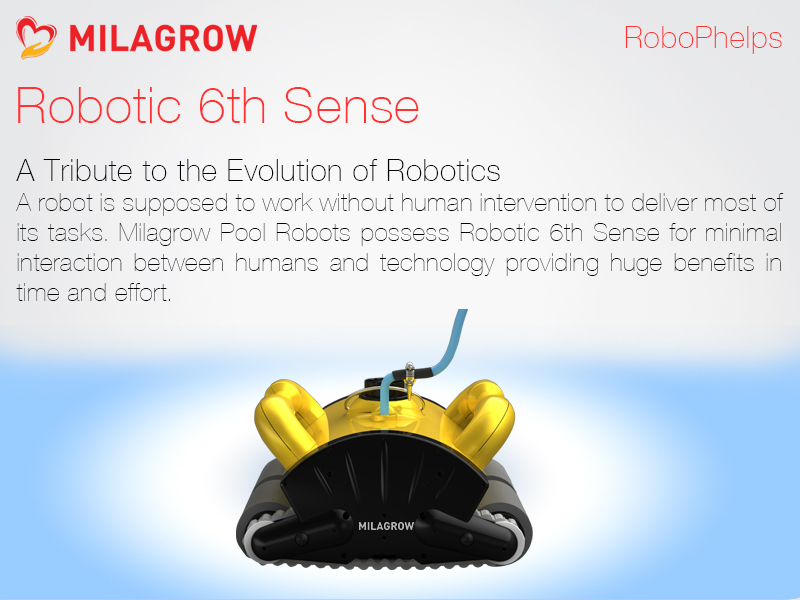 India's 1st and Most Powerful Pool Robot, Robotic 6th Sense, Cleans Pool Floor-Walls-Stairs-Coves, Cleans upto 2100 sq ft in 2 hours, Filters 18000 litres/hour, Smart Z programming, Suits all pool shapes, surfaces and types, Can climb up to 6 ft, Saves upto 93% energy and 30% on pool chemicals, Can also be remote controlled for specific cleaning, 4 strong scrubbing wheels, 2 powerful motors. Electricity cost per hour at municipal rates. 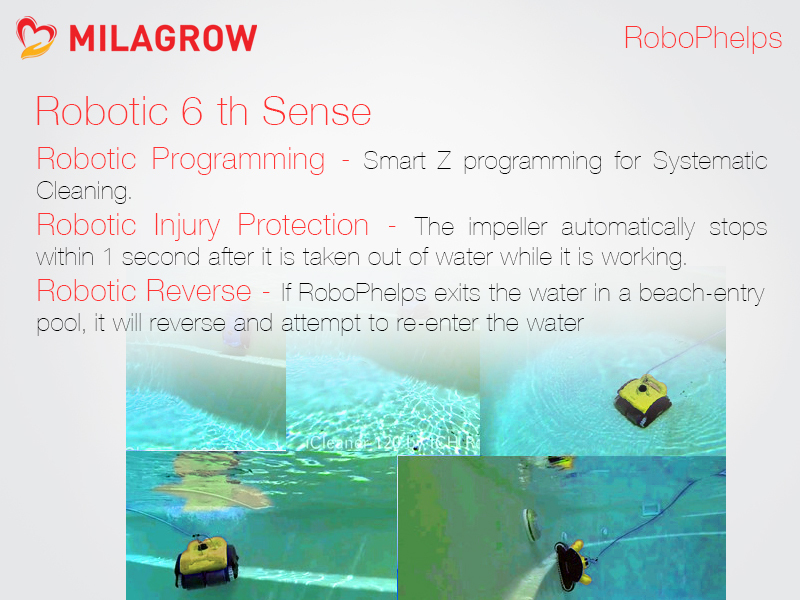 Speed at which the pool robot moves on the surface of the pool. Length of the cable.. This can be extended also. 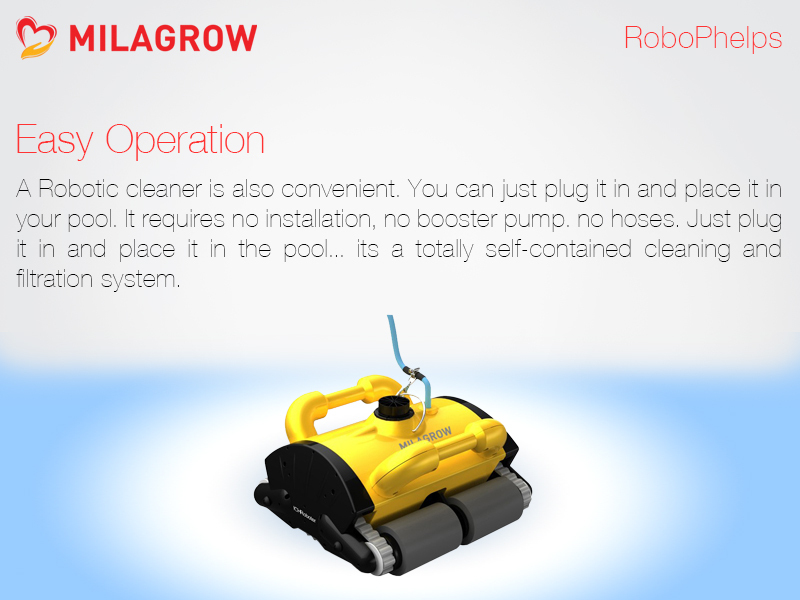 This limits the width and length of cleaning area of the robot. The maximum height which the pool robot can climb. 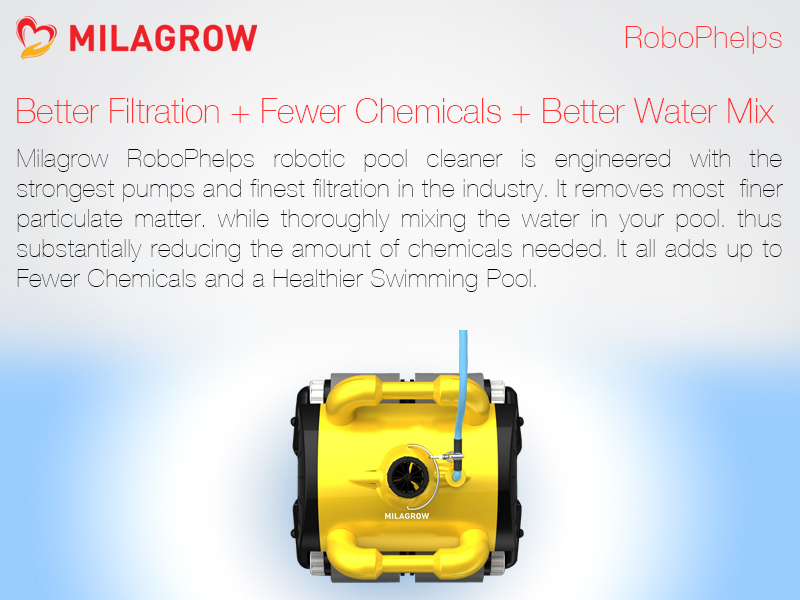 It also mens the maximum depth the pool robot can clean. 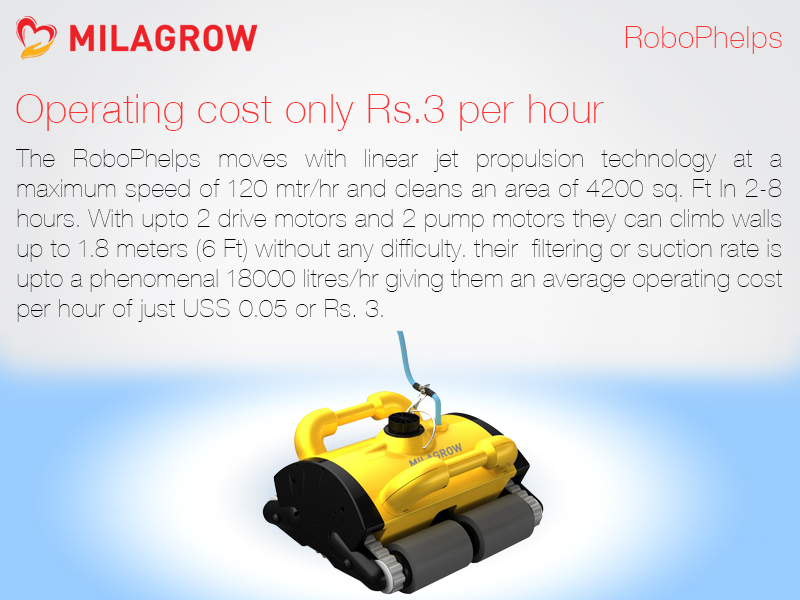 The higher the N ratiing the better it is for the suction and movement of the Robot. 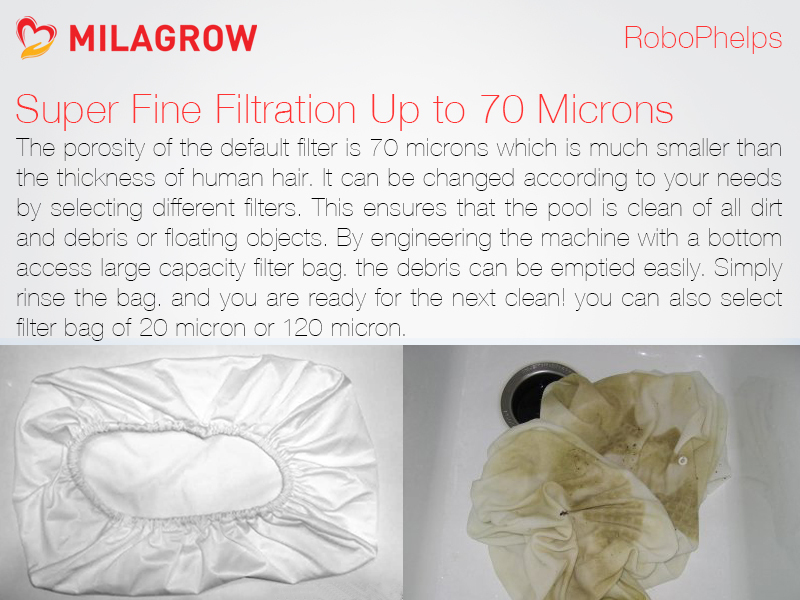 Standard: 70 micron which is much smaller than the thickness of human hair. It can be changed according to the needs by selecting different filter. 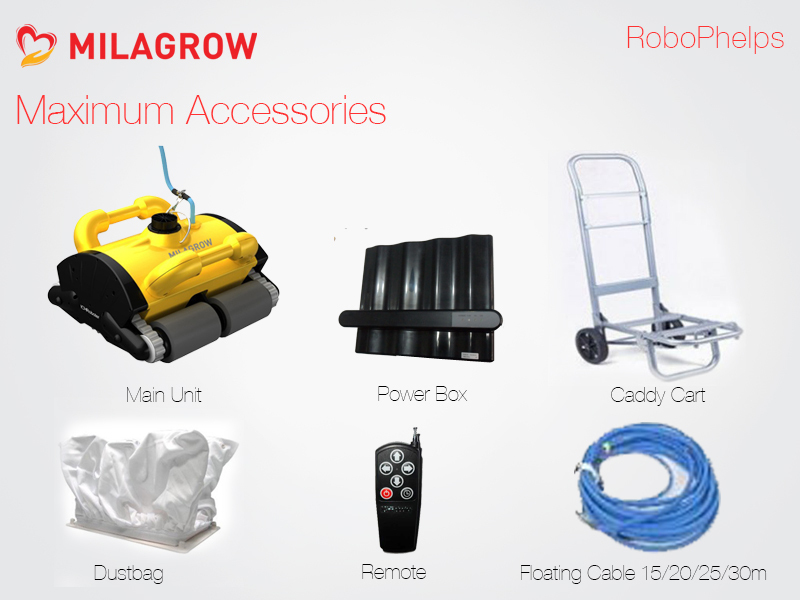 Milagrow Robots comply with the international certification of water proof rating for electronic products. 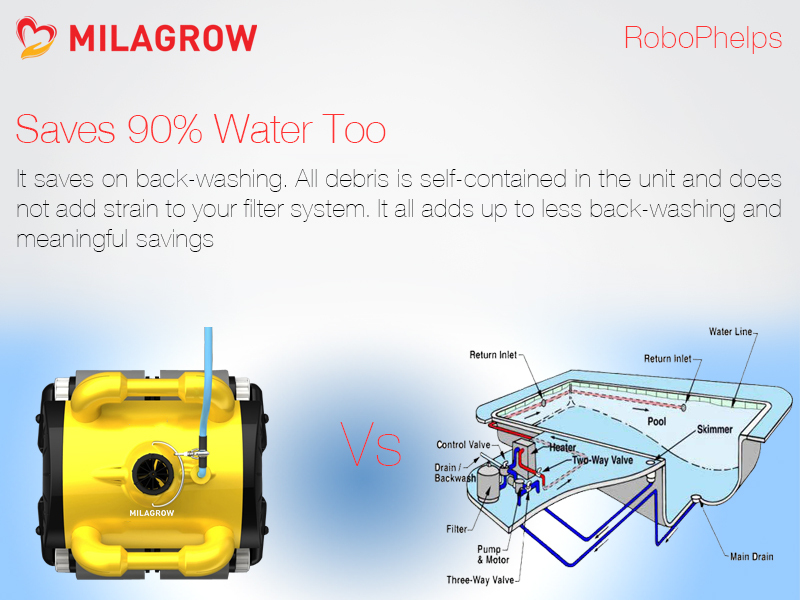 The main unit has the highest Water 'Ingress Protection' (IP) rating of 68. For Remote Control it has IP21 and for Power Supply it has a rating of IP23. 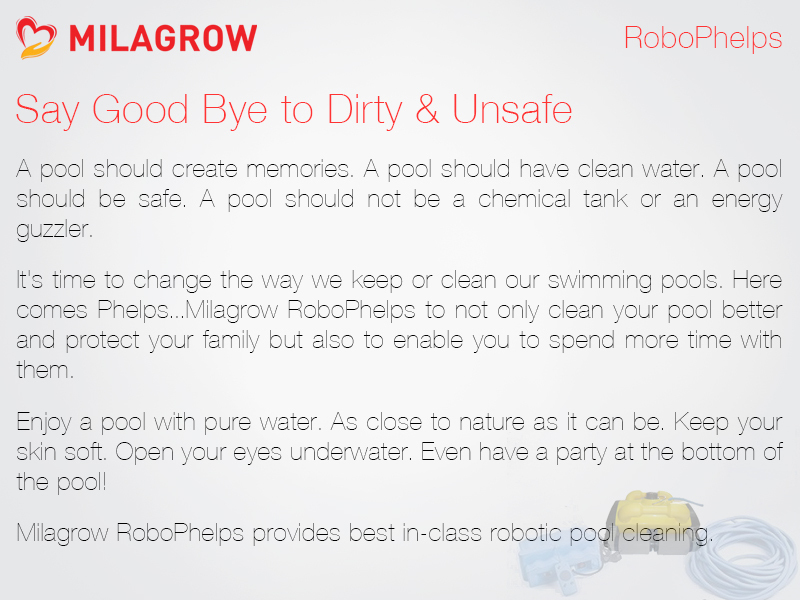 Milagrow Robots comply with the international certification of water proof rating for electronic products. 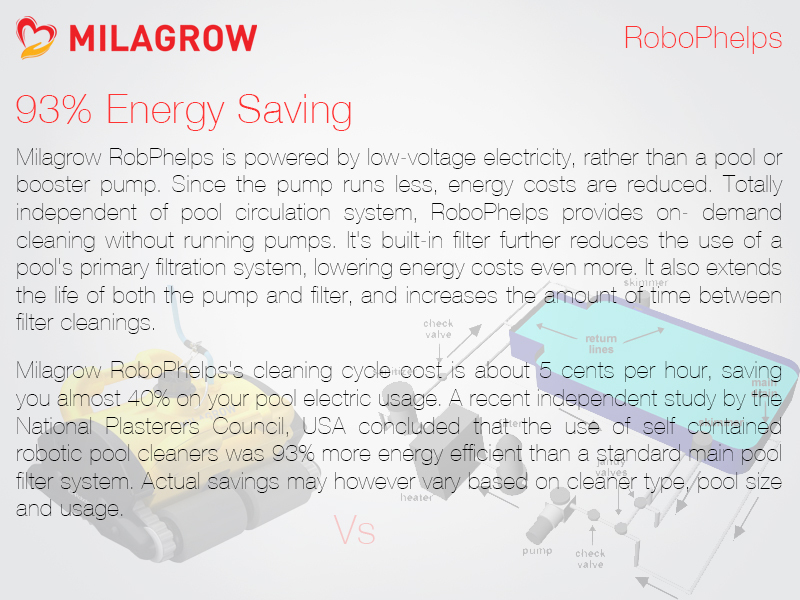 The main unit has the highest Water 'Ingress Protection' (IP) rating of 68. Control Box has an IP 24. 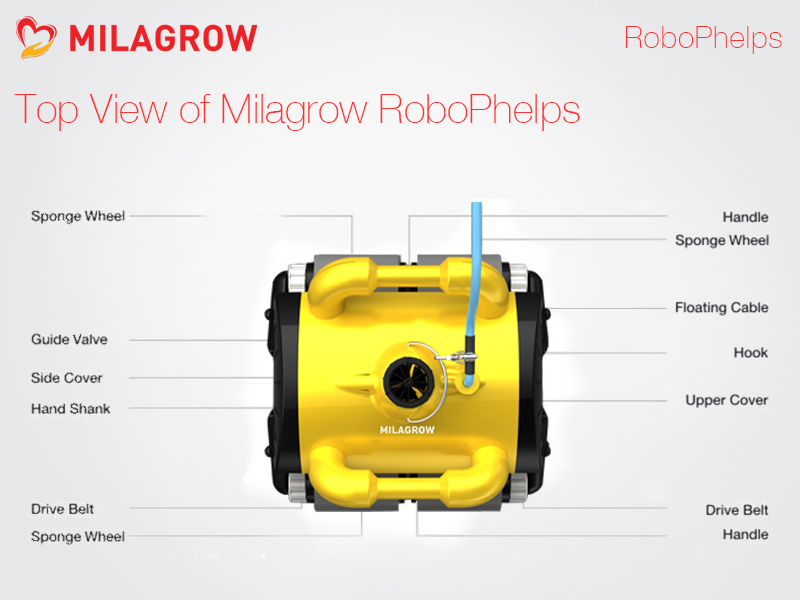 Milagrow Robots comply with the international certification of water proof rating for electronic products. 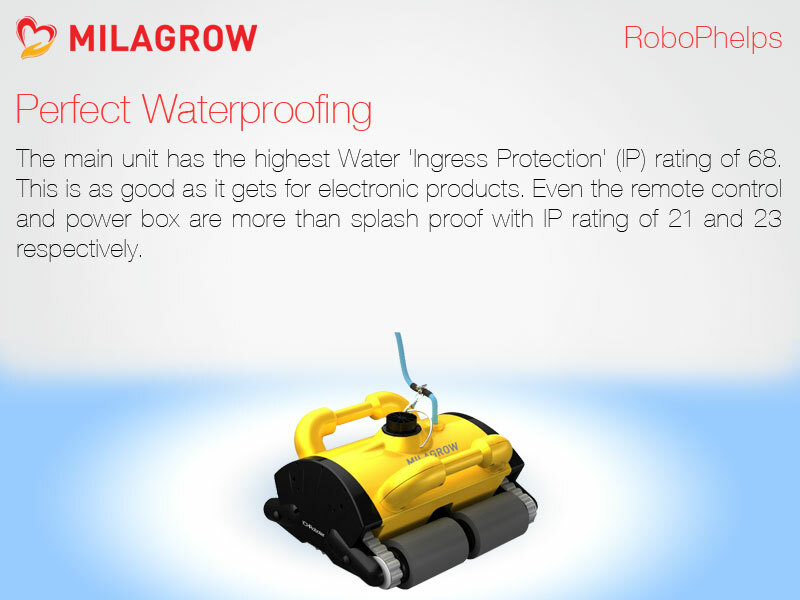 The main unit has the highest Water 'Ingress Protection' (IP) rating of 68. Remote Control has an IP 21. Temperature at which the robot needs to be stored. 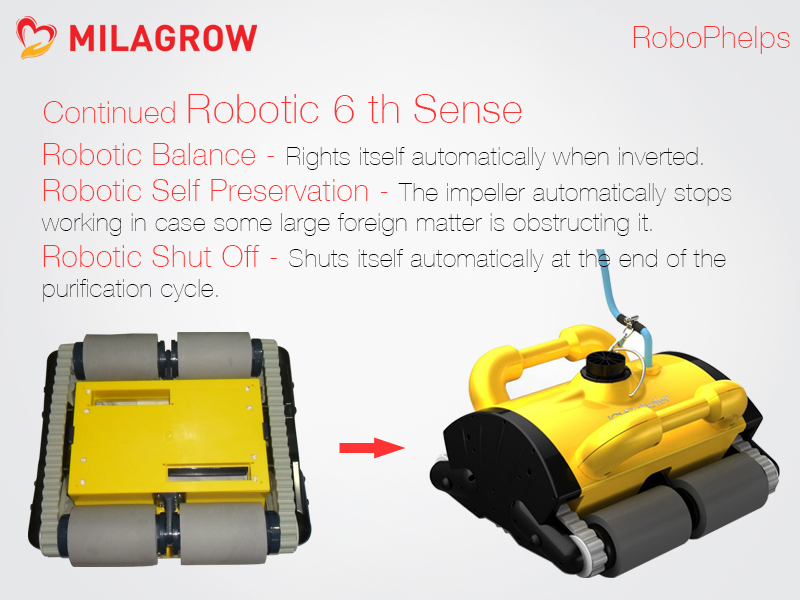 In case you want to give directions to your robot while not having to move yourself. 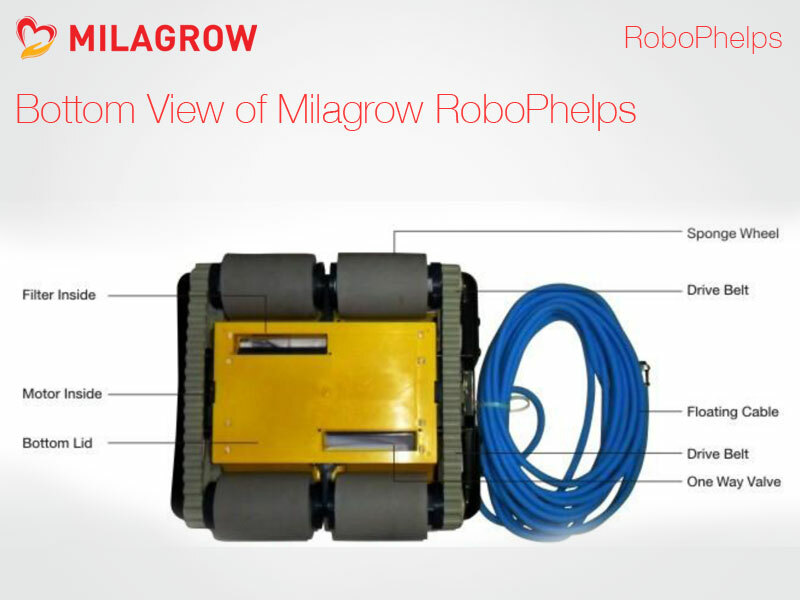 ›› Milagrow RoboPhelps MPR1 is offset to one side when moving. • Synchronous belt is loose or broken on one side. Belt of filter bag is loose or broken. Replace filter bag or the belt. 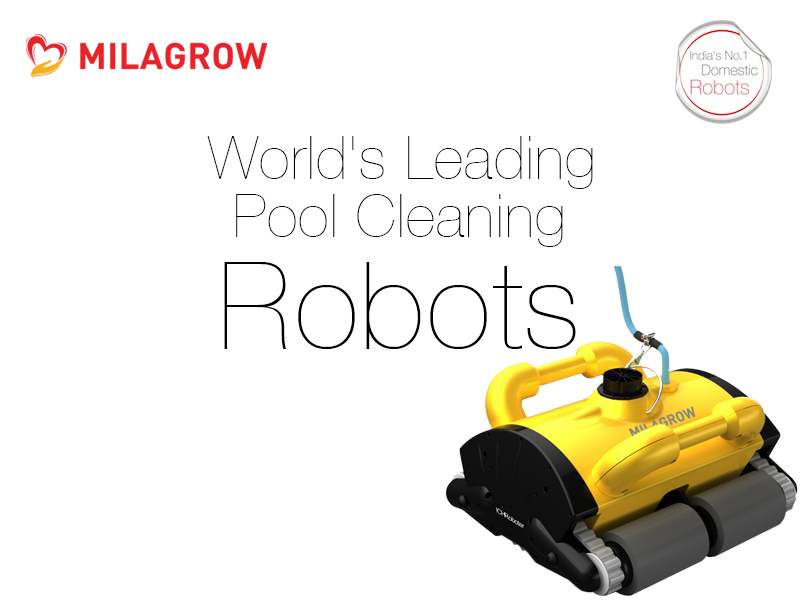 India's 1st and Most Powerful Pool Robot. Cleans upto 2100 sq ft in 2 hours. 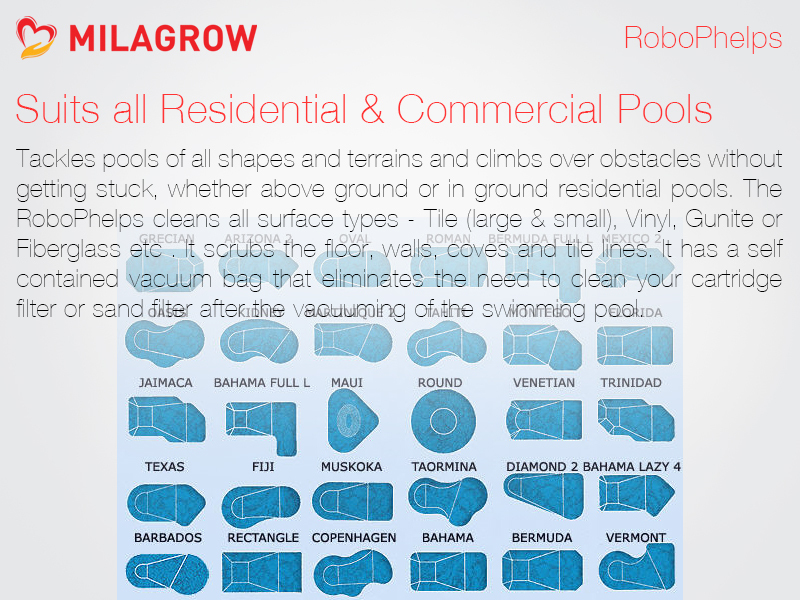 Suits all pool shapes, surfaces and types. Can climb up to 6 ft. 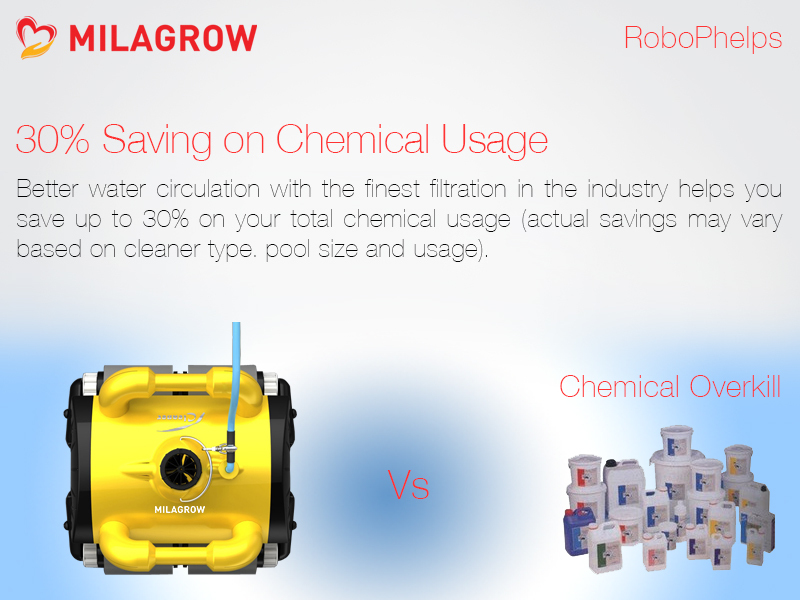 Saves upto 93% energy and 30% on pool chemicals. 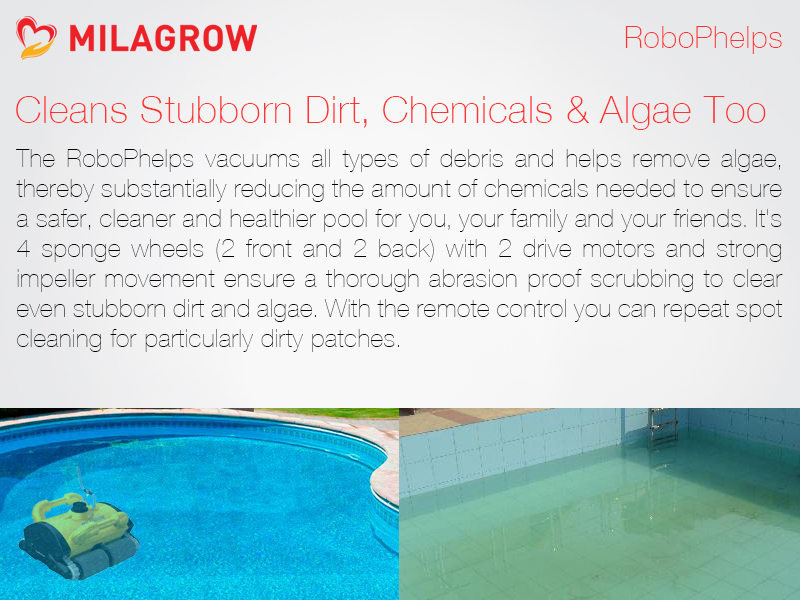 Can also be remote controlled for specific cleaning. 50 ft long cable with 360 degree swivel. Multiple sensors or Minimum Human Intervention.